(both the latter via Einion SAIS, Sir Dafydd GAM and the Herberts). Note that the Perrot genealogy is complex and not made easier by the frequent identical names so if you spot an error, please let me know. aka Henry Beauclerc (scholarly interests) or "Lion of Justice"
The third son of William I of England (William the Conqueror). 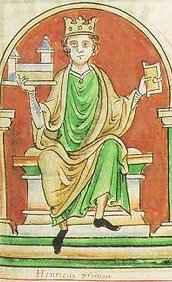 The first Norman ruler to be fluent in the English language. Issued the Charter of Liberties (forerunner of the Magna Carta). Matilda of Blessed Memory. She acted as Regent when Henry was abroad. Her epitaph reads "Here lies the daughter, wife, and mother of Henry"
also s/o Fulk V (of Jerusalem) Count d'Anjou and Ermengard. 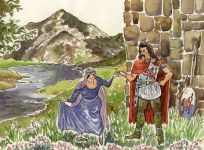 Eleanor (Leonora of Aquitaine, 1161�14), John (1167�16) -see below, and Joan (of England 1165�99). 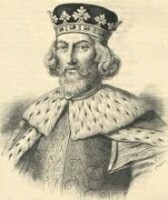 Succeeded his brother Richard I ("the Lionheart"); Fifth son of King Henry II and Eleanor of Aquitaine. 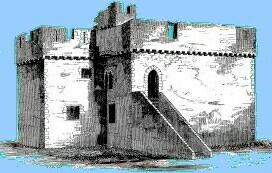 +(2)Isabella of Angoul阭e (Isabelle) m.24Aug1200; d/o Aymer Taillefer, Count of Angouleme. five children (Henry, Richard, Joan, Isabella & Eleanor). 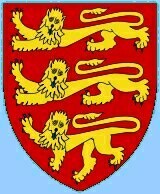 Beatrice de Say dau of William de Saye and Aufrica dau of William "the Lion", King of Scots . Excommunicated after breaking a church arranged truce with brothers. This marriage was aimed at reducing the bitterness between the Welsh and the Marcher Lords. for a year. The marriage still went ahead and Joan was forgiven after a year and restored as Princess. as does naming her daughter Joan and the inheriting of some of Princess Joan's landholdings. 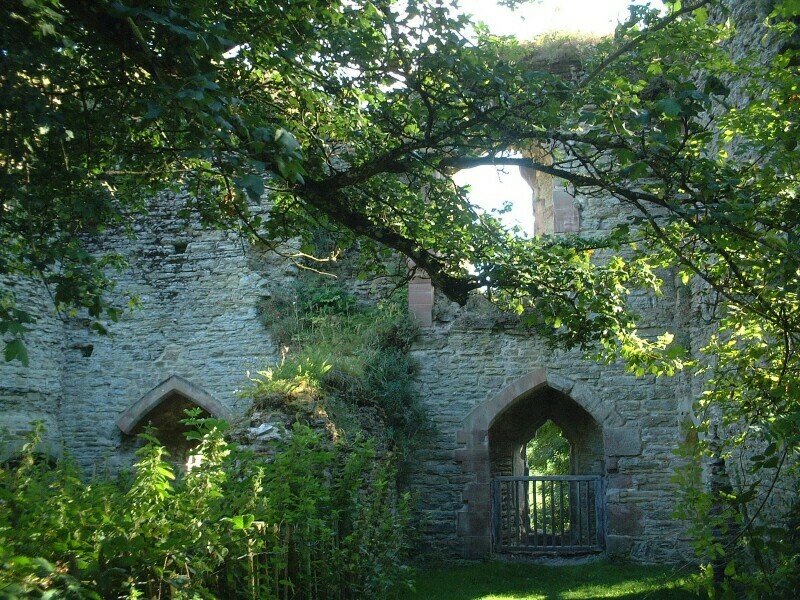 changed hands so many times it was a ruin by the early 16th Century . 8 Six children (Isabella, Ralph, Edmund (see below), Geoffrey, Roger and William. 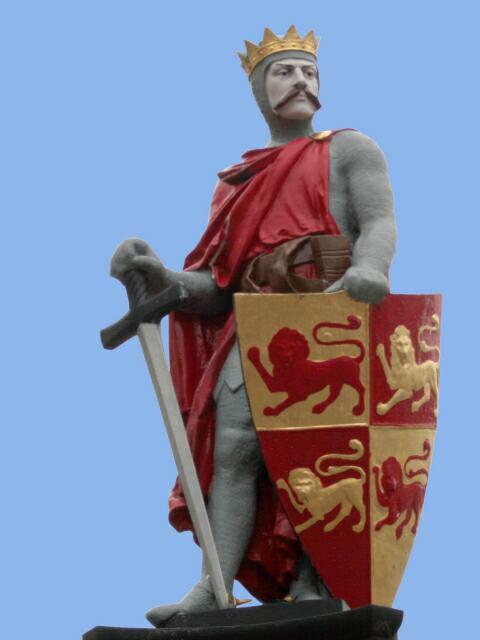 The betrayer and slayer of Llywelyn "The Last" ap Llywelyn Fawr ab Iorwerth. 9 Sir Roger Mortimer, 1st Earl of March b.25Apr1287; d.29Nov1330 (executed). being the grandson of Isabella Corbet (formerly Valletort) . No genealogy has this Peter having offspring. 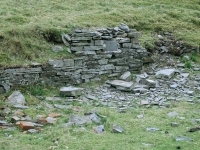 daughter of Leweline, prince of Wales" - so his Welsh was highly Anglicised]. accompanied William the Conqueror . 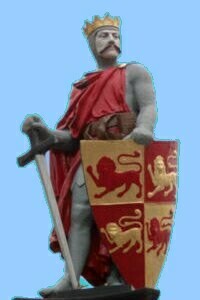 co-heir of Sir Walter HEREFORD who d~1160 on crusade. 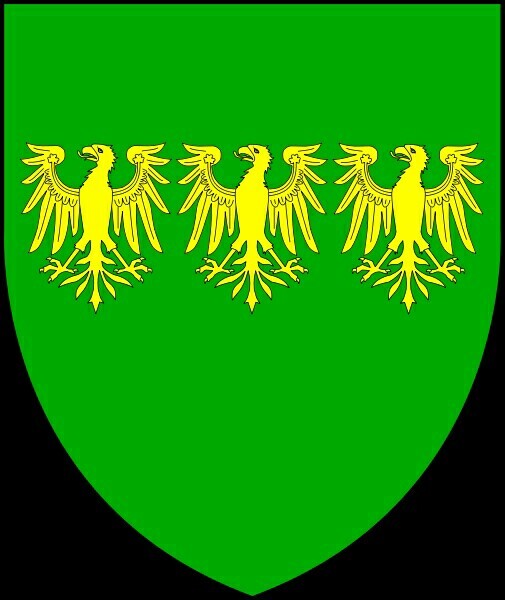 but no vert (green) appears on their Coat of Arms. 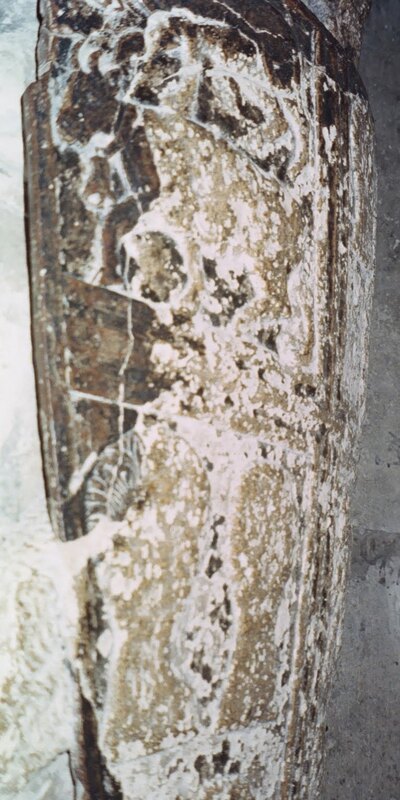 an example of "canting arms"
Piers is not a name found in Sir Arnaud's family (but Arnaud's brother-in-law was Pierre Caillau so he could be named for his maternal auncle ). 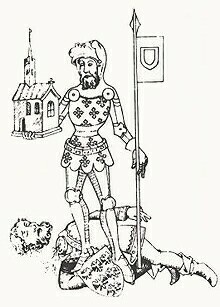 was made guardian of the 16 yr old Roger Mortimer in 1304 by Edward I after the death Roger's father Edmund . Roger would have been the 1st cousin once removed (cousin's son) of "Peter". Piers called John of Brittany "trescher cosin" (very dear cousin) . 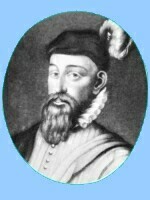 John (Earl of Richmond) was "Peter" Perrot's 2nd cousin once removed. 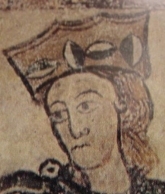 Piers married the daughter of the king's favourite sister and a prominent Lord, something impossible if he was a commoner. 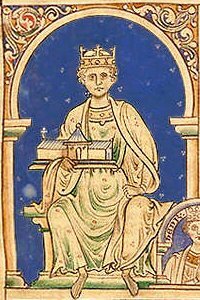 Piers married Margaret de Clare (b.1294 d.1342) [daughter of Joan of Acre (dau of Edward I and Eleanor of Castile) b.1272 in Akko, Syria (on Crusade); d.1307 and Gilbert 'the Red' de Clare, Earl of Gloucester and Hertford b.1243 2m.30Apr1290 d.1295]. 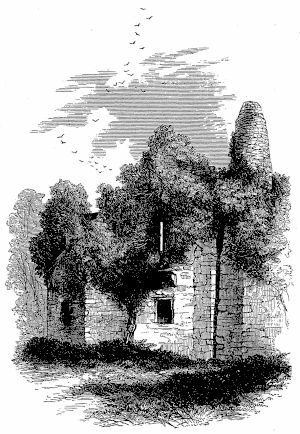 Margaret remarried on 28Apr1317 to Hugh AUDLEY (d'Audley) the younger another of Edward II's "favourites"
Piers and Margaret had Joan GAVESTON b.Jan1312 (York), Joan bing a family name for Peter (his grandmother Joan MORTIMER and great-great grandmother Joan PLANTAGENET). 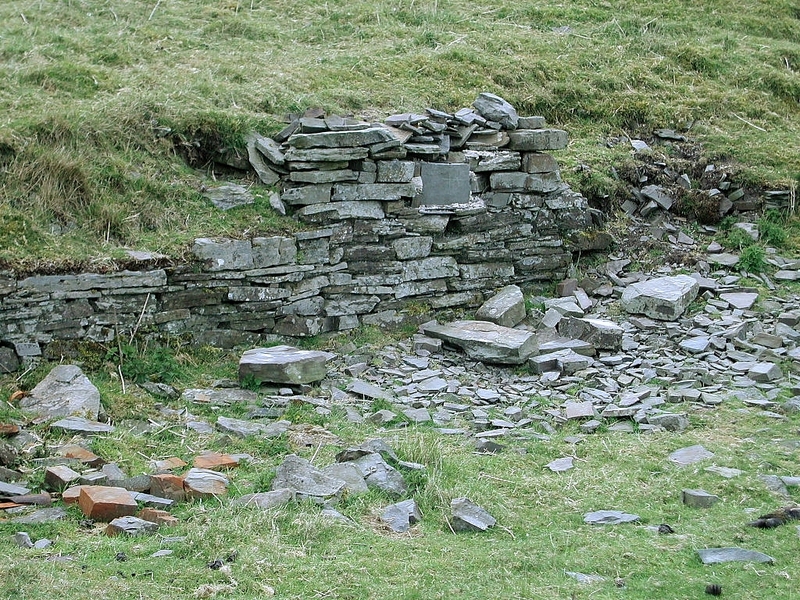 of Pembrokeshire b~1220. 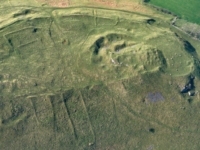 Kynaston is situated near Narbeth Castle. A principal fiefholder of the Earl of Pembroke. 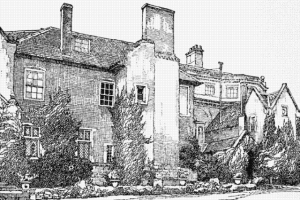 PERROT estates, the house and manor of Popton. 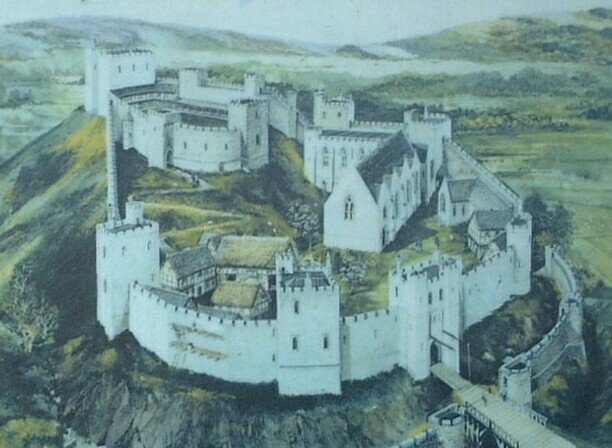 was Sheriff of Pembrokeshire in 1333.
in 1405 on behalf of the people of Pembrokeshire . +(1)Alice PICTON ferch Sir John ap William ap Thomas ap Sir William PICTON. + John PRICE of Gogerddan Esq. being abandoned in an 1824 epidemic of smallpox . Bailiff of Tenby 1454 and Mayor 1458 . 1 Sir John d'HERLE d.11Apr1418 of Tywwardreath, Cornwall. Her descendants continued using the HERLE surname . in 1556 to Thomas Baskerville. (De La BEERE) b.1427 (both of Breckonshire) . This Thomas isn't in some pedigrees but those without create a chronological problem. of Aberystwyth. Here I have Thomas ap Thomas ap John ap John ap William HERLE (son of Margaret HERLE). require 50 year generations, so clearly misses some. so I suspect they missed a generation or two as well. Became an important Intelligence Officer and "agent provocateur" for Queen Elizabeth. 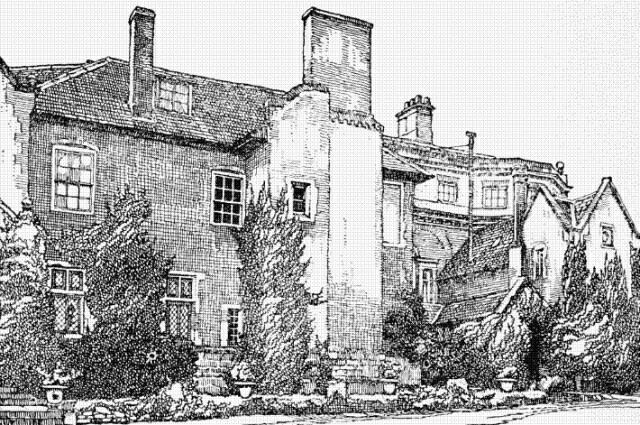 10 Jana HERLE bpt.23Oct1576 (Guilsfield, Montgomeryshire), on 23 October 1576.